Whiplash is a common injury resulting from accidents, in particular being struck from behind while in a car. 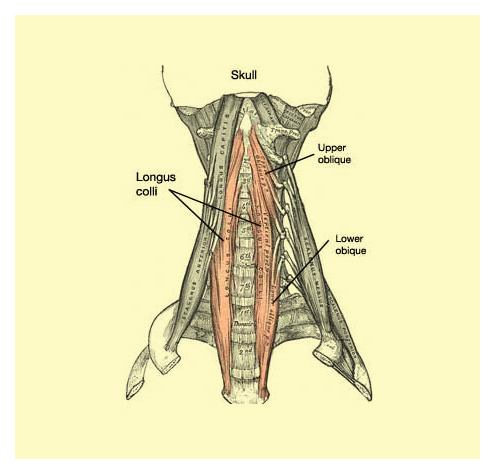 The flexing of the neck often leads to injury of the sternocleidomastoids (the large muscles down the front of the neck) and the longus colli (the muscle in front of the spine that turns and bends the head). Headaches, especially in the back of the head, are a common result of whiplash. Since whiplash usually only causes damage to the soft tissues in the neck, most treatments are centered around reducing the inflammation and supporting the neck muscles during the healing process. The treating healthcare provider may take X-rays or perform an MRI of the neck to check for other injuries or spinal problems. Headaches resulting from whiplash are usually treated by efforts to reduce the swelling in the neck using cold compression therapy and other conservative measures. Range of motion exercises (as directed by a qualified physical therapist) can also be beneficial in treating headaches resulting from whiplash. Reducing the strain on the neck muscles is important in obtaining relief from headaches caused by whiplash. As the muscles relax, there will be less tension on the nerve endings in the cervical spine–and that helps reduce the pain. Blood Flow Stimulation Therapy™ (BFST®) will promote blood flow to your upper back and neck to improve the health of your damaged soft tissue more completely and whisk away toxins faster than any other methods available.